The University of Arkansas for Medical Sciences (UAMS) has their own police department on campus. They work 24 hours a day, 7 days a week to keep the patients, visitors, staff, and students safe throughout the year. Not only does this include the campus – they keep a watch over the local community as well. Weather conditions can create potentially dangerous environments for the campus and community. From extreme heat to local flooding, the region can see some severe weather with very little notice. 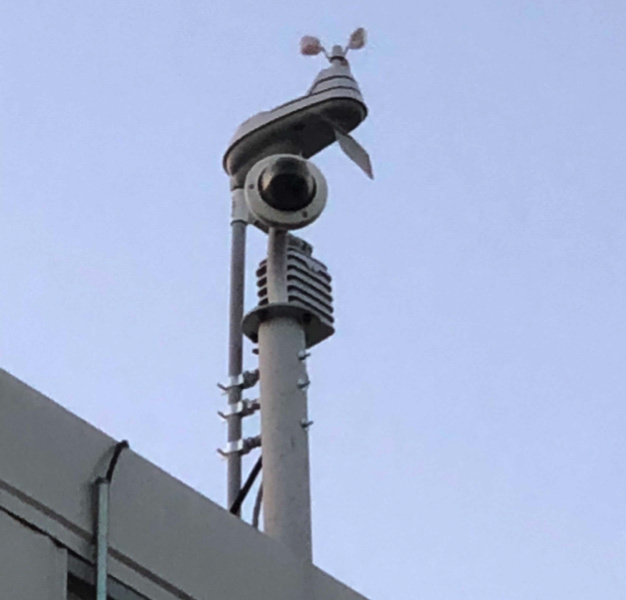 The UAMS Police Department has installed an AcuRite 5-in-1 Weather Station on the roof of the Police Department. This weather data is available to all students, staff, patients and visitors by going to the UAMS Police Department website, located under the UAMS weather Station tab, where the weather station data is available through the Weather Underground personal weather station network. Click here to see the data from the new UAMS weather station. The weather station is monitored by police dispatchers 24/7. The installation of this weather station provides patrol officers with real-time information about rainfall and other weather data, so that faster and more timely messages can be sent about flood prone areas on campus. UAMS has future plans to attach a webcam view to the weather station so that anyone logging into the weather station can also get a real time view of outside conditions.